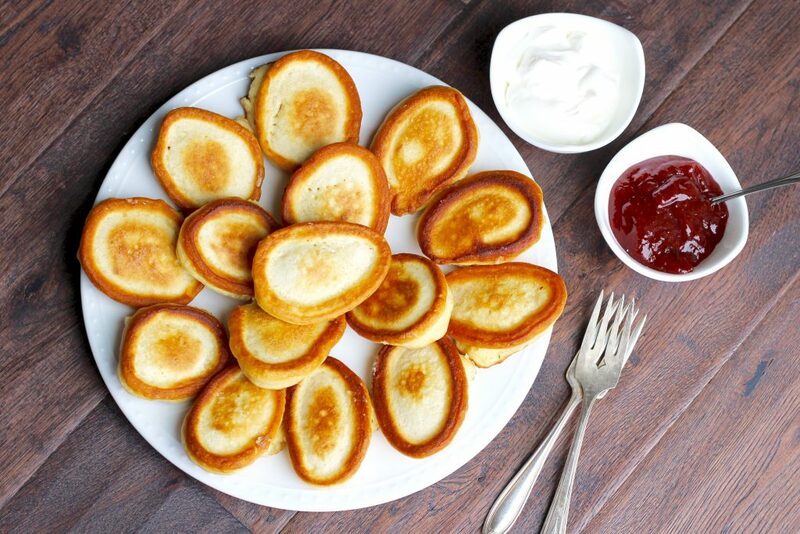 I grew up eating these sweet and crispy Russian buttermilk pancakes, or as we called them, Oladi. My mom would always fry up a big batch any time we were having a special breakfast. 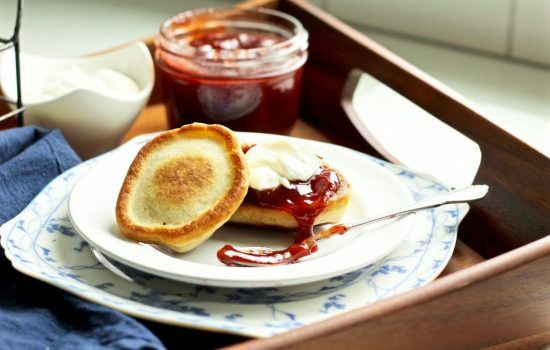 When we got older, she would make these for weekend breakfasts because the delicious smell would be the only thing that could get teenagers out of bed before noon. 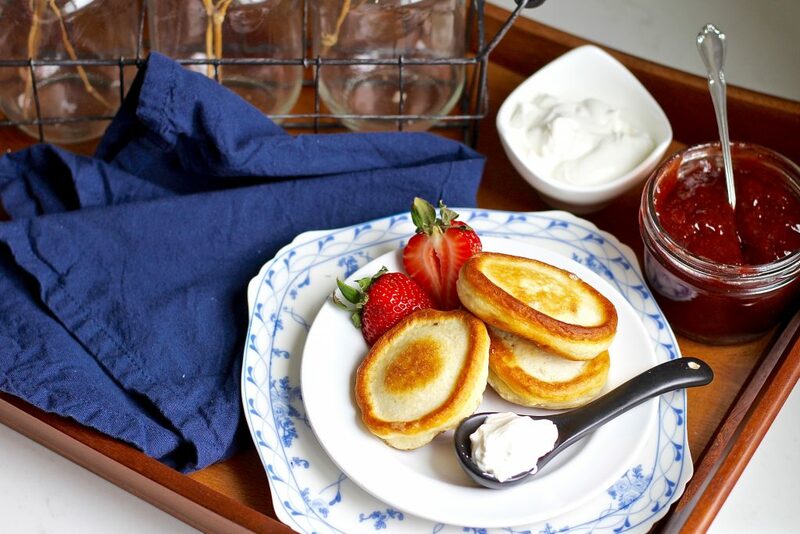 These Russian buttermilk pancakes are crispy on the outside but fluffy and chewy on the inside. They are absolutely delicious dipped in sour cream and your favorite homemade jam (the authentic way to eat oladi). Makes enough for 2-4 people. Double recipe for a larger group. 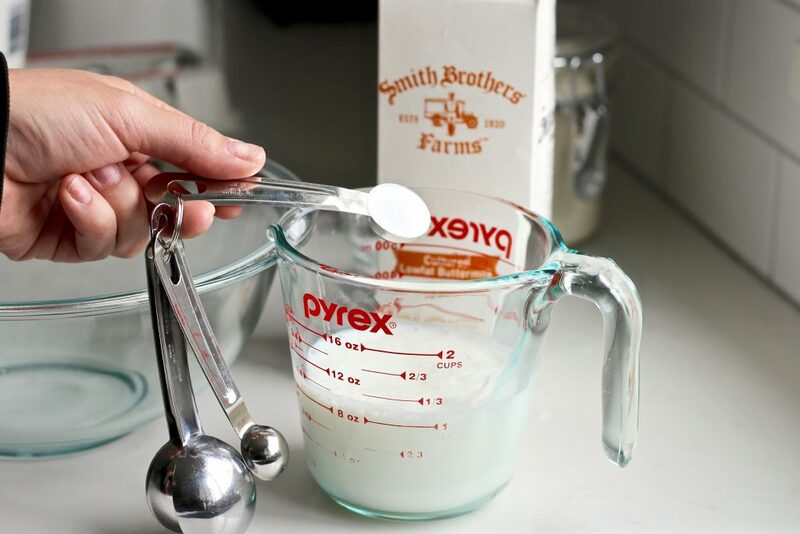 In a large measuring cup, whisk 1 teaspoon of baking soda into 1 cup of buttermilk. 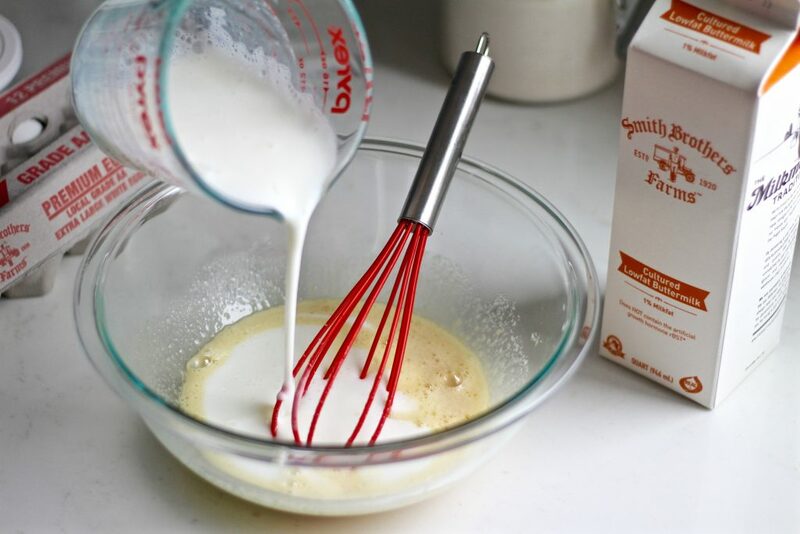 In a medium bowl, whisk 1 egg, 1/4 cup sugar, and vanilla. Add in the baking soda/buttermilk mixture. Mix in 1 1/2 cups of flour. 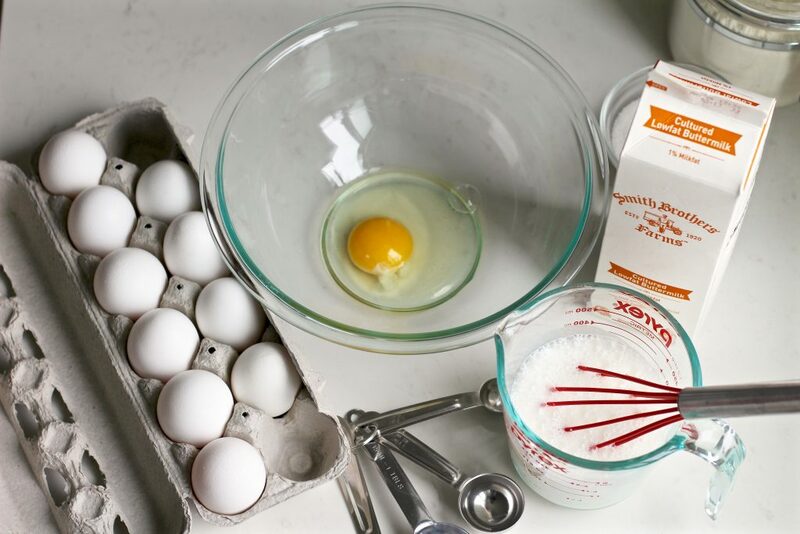 You should have a really thick batter. 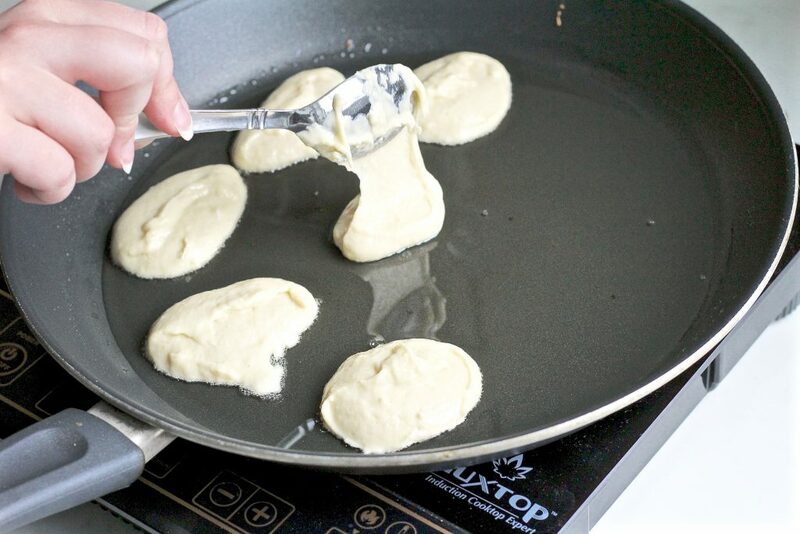 Drop in batter with a large spoon to make small ovals about 2″ long. 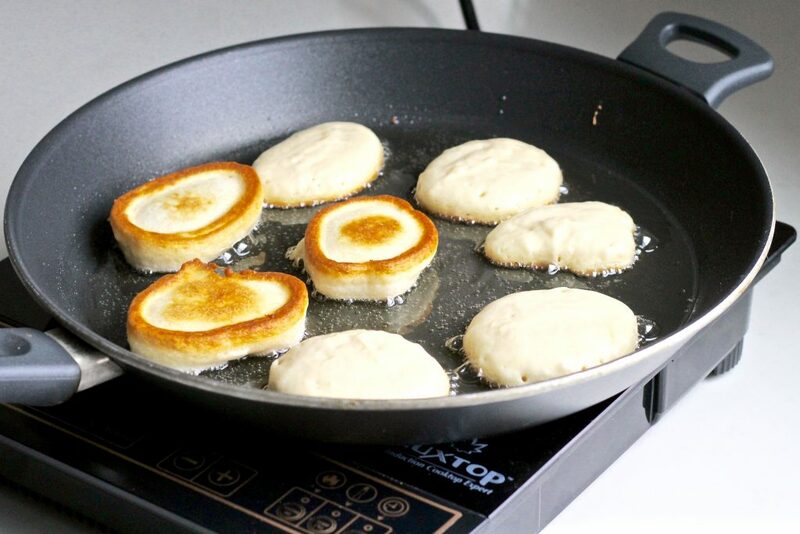 Cook on one side until it starts to turn golden brown on the bottom and batter is bubbling. Turn and cook until browned on the other side. Add the baking soda/buttermilk mixture. 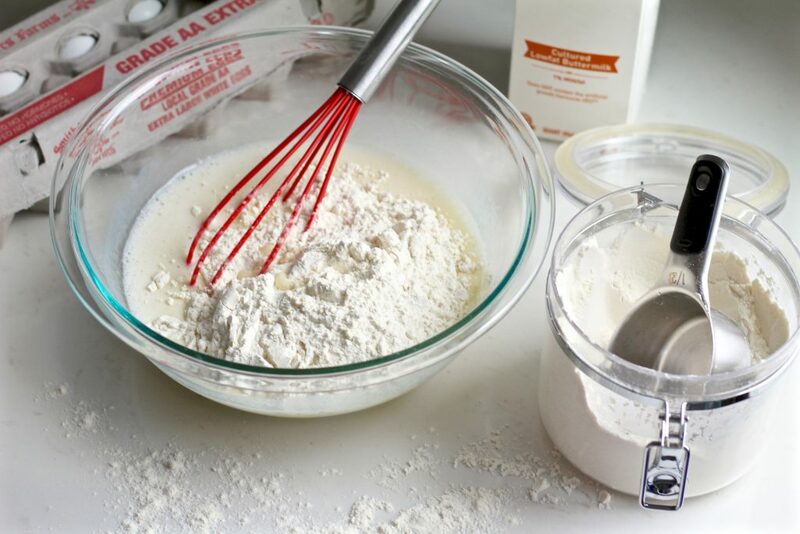 Mix in 1 1/2-2 cups of flour. 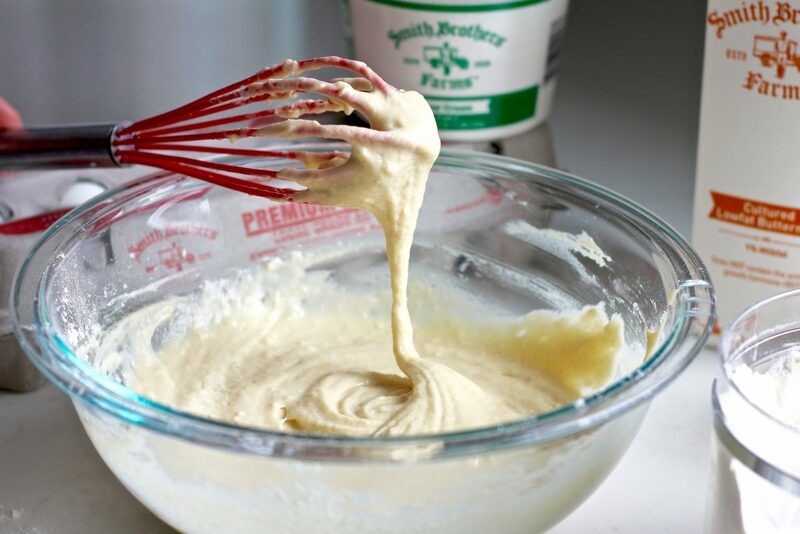 You should have a really thick batter. 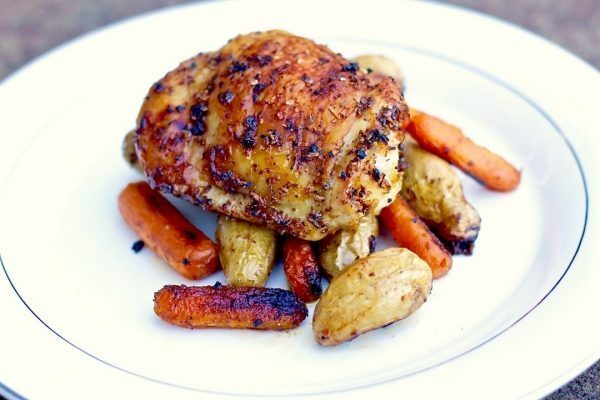 Preheat a non-stick skillet to medium heat with a generous amount of canola or coconut oil. 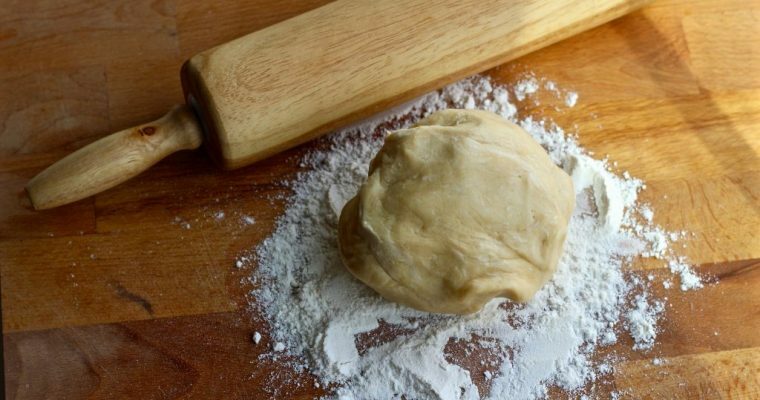 Drop in batter with a large spoon to make small ovals about 2" long. 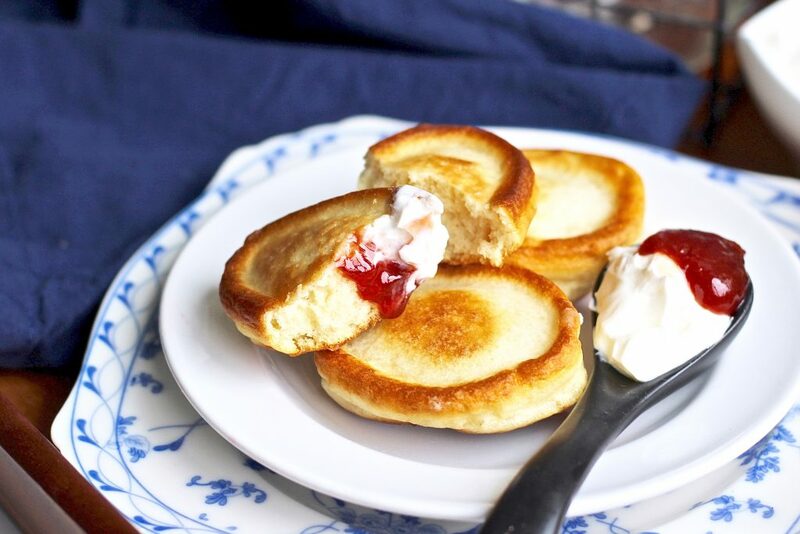 Serve hot with fresh sour cream and jam. I just entered and placed my first order! I’m excited! 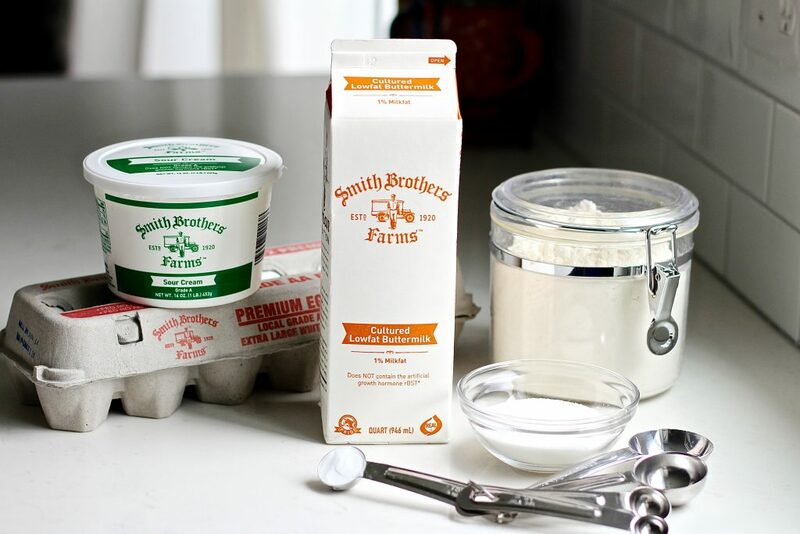 Been getting Smith Brothers delivered for 12 years and i also remember getting it delivered as a little girl! Thank you for the awesome give away! Heather- milk delivery day is my son’s favorite! Love having them delivery farm fresh goodies to our doorstep every week. Have you shared our giveaway on Facebook to be eligible for the giveaway? Make sure to tag us if you do so we can track it! Congrats to our winner Irina!